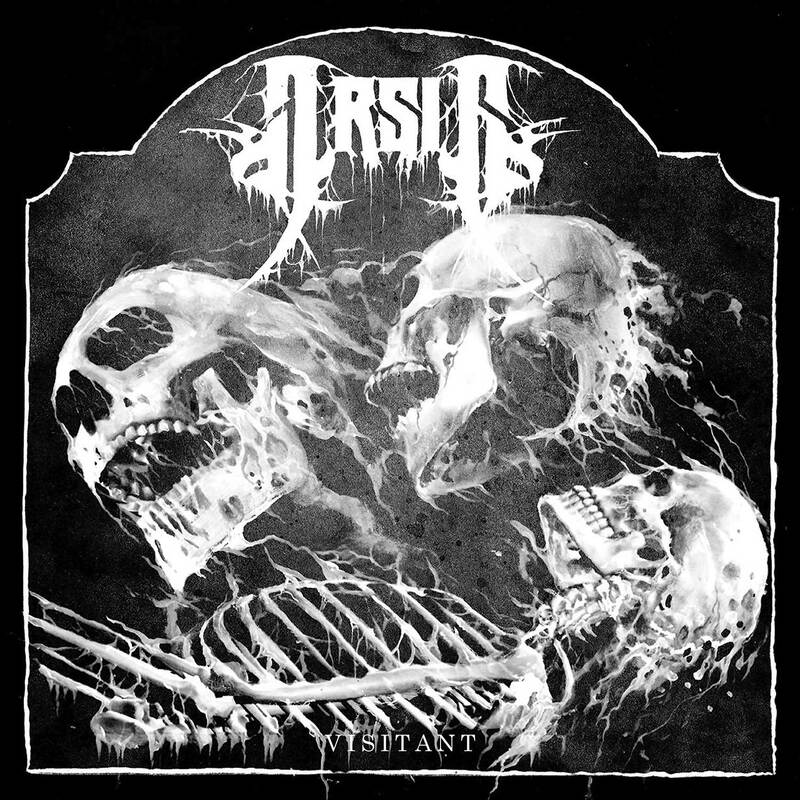 ARSIS is a well-tempered, technically-enhanced band from Virginia that play what could largely be considered as Death Metal in the macro sense of the term. It has been eighteen years now that this band has been at it, and their commitment is truly commendable. There have been ups and downs, though, as the band seemed to lose their way for a bit. Visitant is their first album in three years, and as a fan of the band’s earlier material that lost touch with them along the way, it is with a sense of pride to recommend this album to the readers. The band have managed to trim the fat and also explore a bit in terms of songwriting. This is an album that has challenging parts that are subservient to the larger melodic structure, always the backbone of the band’s ethos. “Tricking the Gods” is a fitting title to open the album with and one that resounds throughout the entirety of the musical project. Many bands are given the label of being Melodeath and it has gotten so over-saturated since it was just melodic Death Metal that I cannot relate to most of these new bands. ARSIS is different. This band is appealing in the way a band like SKELETONWITCH or MUNICIPAL WASTE for they play to the listener’s ultimate love of Heavy Metal. Thus, we shall proceed with the earlier larger classification of Death Metal. The third track, “Easy Prey” has some impressive solos. At the 2:47 mark, I could hear the ghost of Randy Rhoads. By the end though, it’s like Randy has been cloned multiple times adding a rich harmonic effect. “A Pulse Keeping Time with the Dark,” the sixth track features a simpler format. The band actually focus on single notes at points, and the diversity is enhanced by the varying rhythms throughout. On the whole, it could be classified as medium-paced and is certainly one of the more adventurous tracks. The tenth track, “Unto the Knife,” has the sick kind of groove that MORBID ANGEL perfected before the middle of the 1990s had arrived. Listening to the slow groove with requisite pinch harmonics is perfected with occasional peeks taken by the bass from beneath its bottom-clef lair. Its acutely perfected lines flavor the song with a finality embossed with a high gloss sheen. The final track, “His Eyes,” is perhaps the catchiest affair. ARSIS know how to write hooks. The music is inspiring on a guitar level helping one to realize the need to practice more. At times, I found myself becoming lost and forgetting who it was I was listening to. At one point, I felt I’d stumbled onto a lost track from “Storm of the Lights Bane,” yet somehow ARSIS manage to pull it together and regain their sense of ownership. Those that enjoyed the turn CARCASS made with Heartwork are bound to enjoy this album, for like the masters, ARSIS know how to make Heavy Metal riffs sound like Death Metal and how to make Death Metal riffs sound like Heavy Metal. In addition to Bill Steer, one can hear the influence of Dave Mustaine, Zakk Wylde, and Chuck Schuldiner. It all boils down to this: At the most melodic moments, ARSIS still manage to retain the appropriate vibe and honestly, to not sound weak and fluffy. Technical parts do not come across as wankery either. To conclude, ARSIS have made a thunderous return with Visitant. Those that have written the band off should reconsider their position in light of this material. The priceless gift of experience through hard work has enabled the band to finely tune the machine. ARSIS sounds more like ARSIS, a blatantly Heavy Metal band that has a solid background is Death Metal and Thrash. Still technical, the band use that side judiciously on this record. In fact, the band have an ample arsenal with which to keep things from dawdling too much in the median. It has been twelve years or so since I saw the band open for ENSLAVED. They were impressive then, but now the band are at the next level. It will be momentous to catch them on tour as this album begs to be played live.